One size does not fit all. SciComp: Providing cutting-edge convertible bond pricing models for over 20 years. SciComp’s Universal Convertible Bond Pricing Model is a fast, accurate, and flexible PDE-based solution for computing fair value, sensitivities, and implied quantities for convertible bonds. 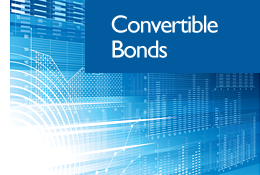 All standard and a wide range of exotic features of modern convertible bonds are supported. Find out more. Underlying dynamical models include Black-Scholes, Local Volatility (LV), Stochastic Volatility (SV), and Stochastic Local Volatility (SLV). Additional stochastic factors in PDE solutions may be used for path dependencies, e.g. range accrual coupons. The list of contract features below is representative of those available with SciComp solutions, but by no means exhaustive. For Custom Developed Pricing Models, customers can request any convertible bond model features they wish. SciFinance users can write specifications from scratch to develop completely customized models in-house, or edit existing examples to adjust payoffs, add new path dependencies and define a limitless array of exotic contract features. Fixed, proportional, or mixed fixed/proportional dividend models. Explicit dividend schedules or specified frequency. Dividend growth. Multiple choices for dividend protection. Fixed, floating or mixed fixed/floating coupon models. Explicit coupon schedules or specified frequency with initial fixed coupon period. Specified coupon growth rates. Contingent coupons based upon underlying stock or convertible bond prices. Conversion rate resets contingent on stock price, hypers. Separate yield curve (discount) and benchmark curves. Hazard rate and credit spread models. Hazard rate calibrated from CDS spreads or specified. Distinct CDS and bond recovery, stock price reset upon default. Convertibles written on foreign stocks. Hard call and discrete put schedules. Call notice periods. Soft calls based on average stock price or days exceeding protection price. Call price/protection price schedules. Contingent conversion (CoCos) including: forced or voluntary conversions; instantaneous, average, or days exceeding CoCo trigger. Many types of make whole provisions including coupon make whole, premium make whole, take out table conversion ratio adjustment matrices and change of control provisions. Funding spread, borrow rate spread, choice of day count basis and holiday calendar support, switches for inclusion of accrued interest upon call, conversion, put, or default. Outputs include theoretical price, all standard Greeks, interest, hazard, credit spread curve sensitivities, and many market implied quantities. Get more information on convertible bond pricing models.